On May 1st 1984 John Sarbiewski founded Northwestern Roofing Ltd. His hard work and perseverance would guide Northwestern Roofing Ltd., thru the early years of creating and nurturing the company that was his life and his passion. His son Richard Sarbiewski, upon graduating from Red River Community College joined his father in June of 1984 to develop and grow Northwestern Roofing Ltd..
John Sarbiewski wanted his company’s name to be strong and to last the test of time. 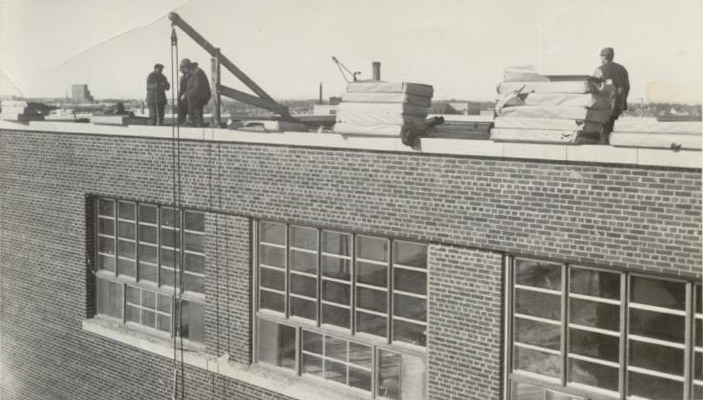 Northwestern Roofing Ltd., continues to serve their clients for over 35 years with trusted workmanship, quality service and technical support in the commercial, industrial and residential flat roofing industry. John Sarbiewski’s career in the commercial roofing industry spanned over 44 years. He was a journeyman roofer and roofing supervisor for twenty five years prior to founding Northwestern Roofing Ltd. John’s life was Northwestern Roofing and even in retirement would enjoy staying active with how the company progressed and grew. Following a courageous battle with cancer, John Sarbiewski passed away on March 11, 2016. He is dearly remembered by his family, friends and employees and his standard of excellence continues to this day at Northwestern Roofing Ltd..
Richard Sarbiewski’s career background includes commercial roofing and sheet metal fabrication and installation. Richard completed his Diploma in the field of Structural Engineering Technology at Red River Community College in 1985 and received his certification as a Certified Engineering Technologist (C.E.T.) in 1991. Richard Sarbiewski has been president of Northwestern Roofing Ltd., for over thirty years.